Cute first birthday romper featuring a funny little party monster holding a balloon with a cupcake on it. Beside him is the number one and around him stars. Cute and somewhat whimsical cartoon illustration. 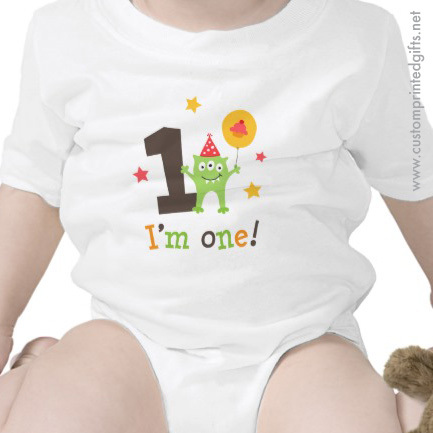 Text “I’m one”.